Many people ride motorcycles to experience the open road, save gas and have fun. In San Diego and throughout California, motorcycles offer transportation unequaled by other vehicles. But with that freedom comes a higher risk of serious or deadly injury. With more than 50 years of combined experience representing injured individuals and their families, throughout San Diego, Gilleon Law Firm is well-known for successful case results, and the aggressive pursuit of compensation for cyclists injured by the negligence of others. Most motorcycle riders understand that any collision or accident can be fatal. Motorcycle drivers have the responsibility to operate safely, but safety is not always possible on a road filled with big rigs and other motorists. Serious injury is often the result. Visibility: Even when motorcyclists follow the rules of the road, signal their intention and ride with headlights on, the low profile of their vehicles can cause reduced visibility. Careless or distracted motorists too often merge into a lane already occupied by a motorcyclist. Wearing bright colors and striving to remain visible are important — but not enough to alert motorists who are simply not looking. Judgment: Drivers can misjudge the ability and speed of motorcycles. Fatal accidents frequently occur at intersections, when a motorist turns left in front of a motorcycle, mistakenly believing that he or she has time to make the turn. Unable to stop, the motorcyclist either goes off the road or hits the car — with devastating consequences. Distraction: Distracted driving is a leading cause of the inability of motorists to see motorcyclists and maintain a safe distance. Environment: Wet or uneven pavement, fog, poorly signed or maintained construction zones and poor lighting contribute to serious motorcycle accidents. Riding a motorcycle requires watching out for those who are not watching out for you. If injured, you can look to us for resourceful, untiring efforts to obtain fair compensation on your behalf. 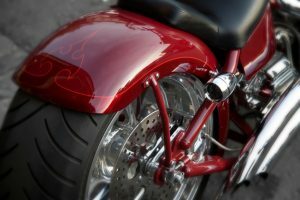 If you have been seriously injured in a motorcycle accident in San Diego, Los Angeles or Orange counties, Gilleon Law Firm can help you pursue the fair compensation you deserve. Our offices are located in downtown San Diego, with onsite parking, and are convenient by train or car. Call 619.702.8623, or contact us online, to schedule a free consultation. After-hours appointments are available.